16.36) I thought I'd document the steps quickly. - Launch Automator, and create a new Service. - This particular service receives no input. 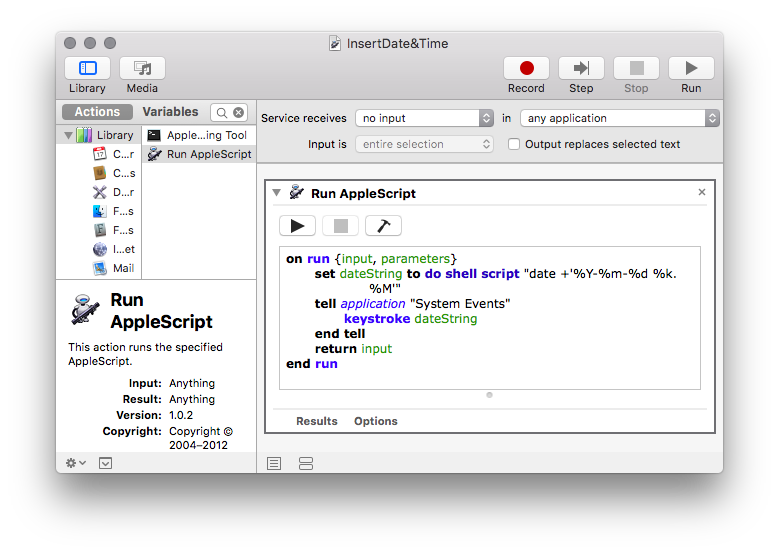 - Drag in Run AppleScript to the service. set dateString to do shell script "date +'%Y-%m-%d %k.%M'"
- Save the service and remember the name. 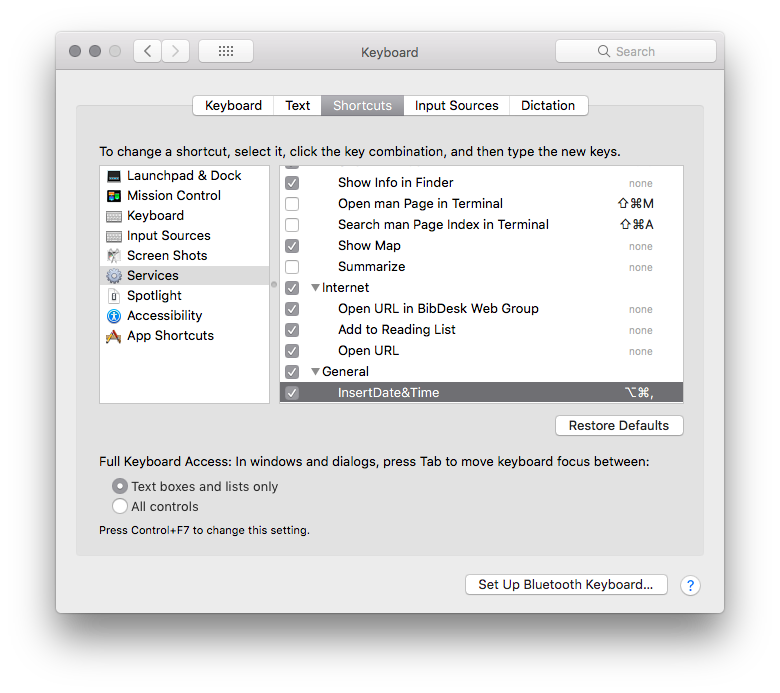 to a useful keyboard shortcut. described at the date man page. Rust, or Python) for any actual computation.